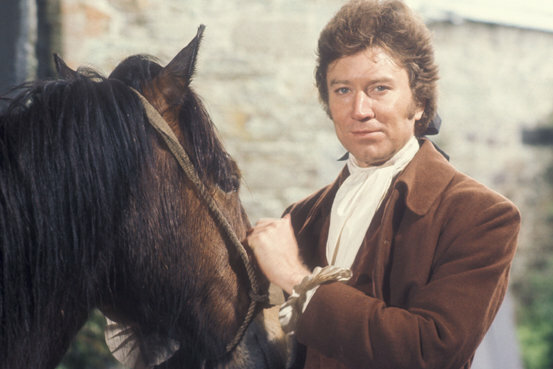 Along with Upstairs, Downstairs, Poldark was one of the British TV imports that earned the venerable Masterpiece Theatre its Stateside respect back in the 1970s. Often referred to as the British Gone With the Wind, the 1975 television mini-series made its U.S. premiere on PBS in 1977. 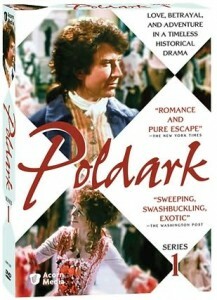 Based on the novels of Winston Graham , the show chronicles the saga of England’s 19th century Poldark family, fixing its gaze on sterling son Capt. Ross Poldark (Robin Ellis), who returns to his family in Cornwall to more or less find his home and estate in ruins and the woman he has loved (Jill Townsend) engaged to his cousin. Matters take many turns for the better and the worse over the next 16 episodes—nearly 14 hours of the kind of high drama and romance set on a backdrop of economic and social change that we’ve come to associate with the literary miniseries adaptations of that period. The mini-series also embodies that pace and TV production values and style of its time, so while the characters and stories are certainly engaging, Poldark wears its age on its respectably frilly sleeve. However, it should be noted that the show revolutionized the form by “opening up” the proceedings via location shooting and outdoor sequences (unlike its primarily stagebound predecessors). Regardless, Poldark should be regarded as a timeless timepiece of its era, and one that U.S. fans will enjoy on DVD. I think this was once out as an import DVD from England.